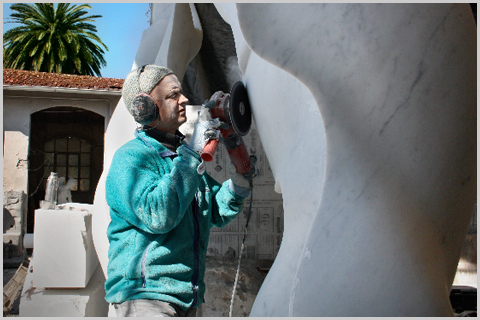 Helaine is the first-ever woman to win the Premio Pietrasanta nel Mondo… a prestigious international sculpture prize. She divides her time between Cambridge and Pietrasanta, where she has a studio. The city of Pietrasanta gave her the honor of a solo exhibition in the Piazza del Duomo, the town’s main square. It was a privilege and an honor for me to be a part of Helaine Blumenfeld’s artistic process – it’s been an unforgettable experience that challenged and stimulated me deeply. You can see additional photos of the work in progress here. 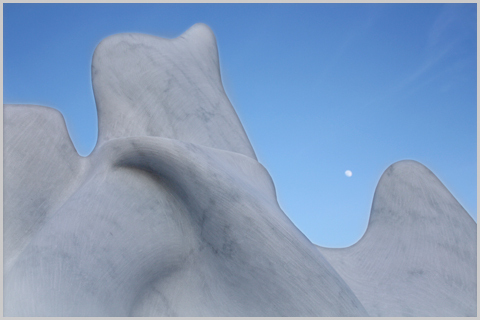 You are currently reading Work in Marble for Helaine Blumenfeld at Stefan Ebner Works in Stone.